Manjar is a company that specializes in making beautiful confections of all kinds. From formal custom cakes, to cupcakes and unique cookies, they can make any treat that you can dream up. It is clear from the gallery of their previous work that they have a talent for making the desires of their clients come to life. 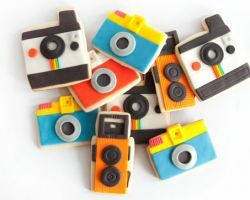 They have previously made cookies that have polo t-shirts on them made of fondant as well as cake pops that look like horses. Their creativity and artistry truly know no bounds. 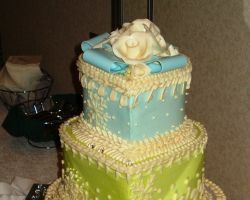 Jazzy Creative Cakes and Sugar Art is owned and operated by Lindy. This woman is a genius when it comes to making creative cakes and artistic confections. 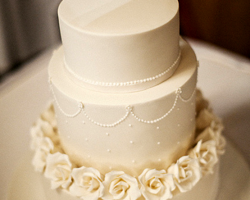 Many local couples turn to her wedding cakes in El Paso, TX because her attentive service and quality is always reliable. As an award winning baker and cake designer, you can be sure that whatever she makes for your special day, it will always be delicious and beautiful to look at as well. Icing on the Cake was started by Tammy Jeter, an Army wife and veteran herself, when she finished her career in the Army and wanted to follow her true passion of baking. It is clear that this woman puts her heart into every confection she makes. From using the best and richest ingredients to beautifully decorating the cakes, Tammy is also a local baker with talent. 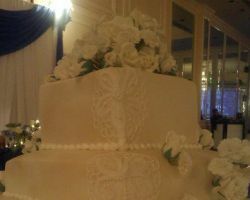 She specializes in making gourmet cakes, working with fondant, and creating elegant wedding cakes in El Paso, TX. Every aspect of your wedding day should be special and truly representative of you as a couple. That is why Cake Unique specializes in making custom El Paso wedding cakes for couples. 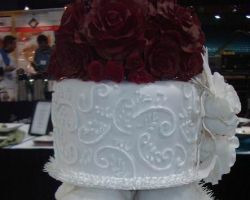 The cakes this company makes are not only made with the freshest and highest quality ingredients but are also made using the most creative design techniques and artistry. As far as cake bakeries go, this one is the best and most personalized making the entire experience more enjoyable for the client. There are few cake bakeries in Texas that have a chef who is renowned and award winning. Orange Peel is the home of chef Julie Aduato who specializes in desserts, treats, and special occasion confections. In this shop she has made everything from a black forest cake to authentic biscotti with ease and great flavors. Calling this shop for their options and availability is a must if you would like their chef to make you something customized for a large event. Sweet'Art Festive Cakes is the top local cake bakery in El Paso and possibly all of Texas. This company has made some of the most impressive and unique confections for any event. They have made custom birthday cakes, baby shower cakes and wedding cakes that truly belong in a museum for their creativity and artistry. Not only are the cakes, made by this company, works of art but you can buy one for a relatively affordable price. Choosing the top bakery in the business ensures your cake will be the best. There are few wedding companies in the industry as versatile as Coronado Weddings and Events. This Texas wedding company plans and makes everything from cakes to floral arrangements and much more. This company is able to do so many things for weddings because they can execute each one flawlessly. Their cakes are of the highest quality and come in a variety of flavors, shapes and sizes. 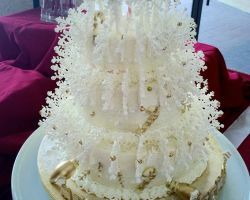 They will make a wedding cake that will wow you and your guests and leave your sweet tooth satisfied. Custom cakes in El Paso have not been more creative than the ones found at Batter’s Up Custom Cakes. This company truly is the best at what they do, making cakes that look like an innovative football on the field for a super bowl party or an elegant and always flavorful wedding cake. Susie, the mastermind behind these creations opened this company in 2010 and it has been growing in reputation and popularity ever since. Have Susie and her team make your wedding cake one that will get everyone talking. 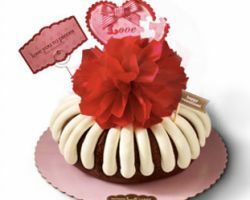 Ordering a cake from Nothing Bundt Cakes is a great way to celebrate any occasion. This company is known for creating beautiful and tasty confections to suit any event and any style. Not only are these cakes made to wow and make anyone feel special with unique cake toppers but they are also made at affordable prices. 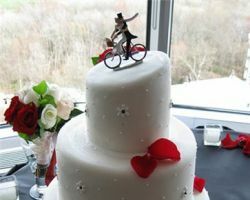 While many specialized and custom cakes will break the bank, this bakery wants to make your event special without you paying more than the cake and services are really worth.